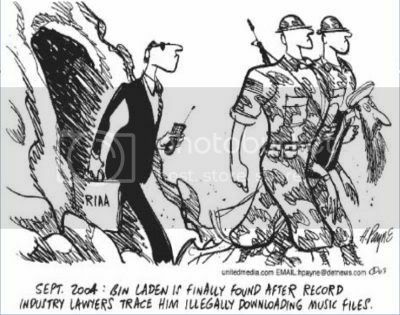 I thought the above cartoon was appropriate in relation to the current news..
CDs have been one of the formats I’ve used the longest, followed closely by the LP and then the cassette. 8-Track albums by Elton John, The Eagles, Van Halen and Jimi Hendrix were played quite often in the car and on my portable. A favorite format of mine for a good 10 years. 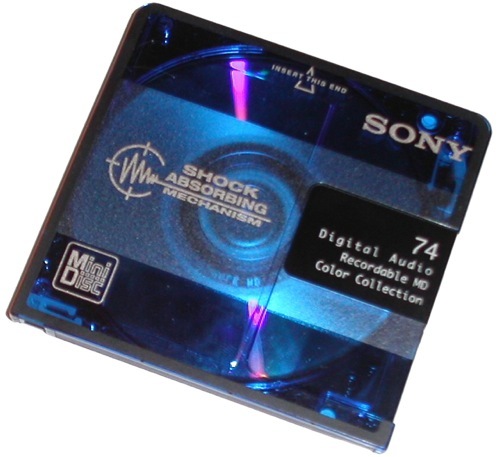 Minidisc was one of my favorites to store and listen to music on. Smaller than CDs, it stored about an albums’ worth of music. My use of it was for not just music. I would record radio shows, voice conversations, interviews and concert bootlegs. I still have an MD recorder that I get out a few times a year. I’d like to update it, but there’s no pressing need to, other than for my own personal love of this format. My collection of 45s and 78s are long gone, but the memories will always be there. As a child, my mom bought Disney records on 78 that I loved to listen to. Then as my musical tastes expanded, I bought 45s, or singles as we all knew them as. At one point, I had amassed a collection of over two-thousand 45s – much more than the few hundred LPs I owned and listened to. As media changed over the years, so did my ways of listening to music. Portable cassette boom boxes were very popular outside and in my bedroom. My first CD boom box was equally used a lot. Then came the Walkman, which forever changed how we listen to music, including present day. I’ve owned quite a few Walkmens over the years, as it was a solid media player that kept the tunes going on minimal battery life. I miss some formats like LPs, playing them a lot on a wide array of different types of turntables, recording each album to cassette for portable listening. Since 1998, I came into the world of MP3 and have increased my usage of it. Today, it’s a mixed format of CD and MP3/AAC/digital with the ratio being 15/85, respectfully. So what formats have you owned over the years? Have you gone complete digital? A mix of old and new? Any obscure formats that defined a period of time in your life as awesome? Comment away. I never had the 8 Track or the minidisc, but I had the rest. I really do miss LP’s. I have a huge collection of CD’s but rarely listen to them now. I use mostly MP3’s, too. As you read above, my CDs are mostly shelved, but I like to keep them around… at least the out of print ones. 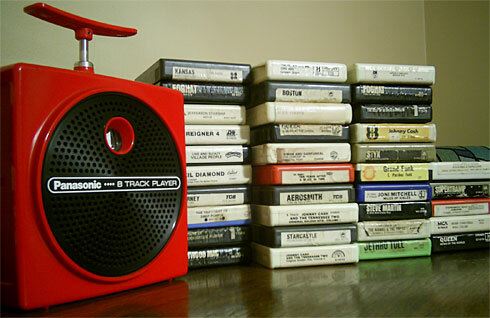 Also never indulged in mini discs or 8 tracks, but I always loved that 8-track player! I had one of those yellow athletic Walkmans. It was my first Sony, and, like all the other Sony things I’ve owned, it broke way before its time. I had a Yellow Walkman, too. Worked really well for years. All my vinyl albums and CDs are out in the garage. My collection of 45s never made it across the pond and to be honest I don’t really know what happened to them. I think (hope) my sister nabbed them and they’re safe. I’m running into a situation now where for the life of me I cannot find a particular album as a digital copy. Nor can I find it on CD anywhere. I’ve tried everywhere including ebay with no success. I do own it on vinyl so I’m considering buying one of those USB turntables so I can rip it. I would hope that your sister is taking good care of your 45s. The out of print albums are hard to find. I have many on CD that I treasure with my life (including some Gold and Mobile Fidelity titles) and had some on vinyl that I wished I would have kept. I loved the two MD players I had. So nice being able to do digital “mix tapes.” and reuse them? Score! Until I got an iPod, I lived and breathed MD.